We usually have our little company picnic every summer at a local park somce we only have fifty employees. Last summer, the boss decided to do something different. Everyone was sent e-mail informing us the picnic theme was "Venice Beach". 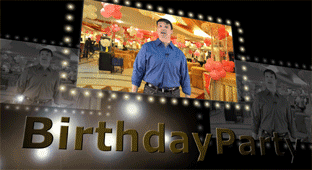 All the party details were in the e-mail such as the location, date and time. I noticed the location was the same as our usual park and wondered what our CEO was up to. A huge pile of sand had been brought to our usual park and two volleyball nets had been set up in the middle. There was Venice Beach style entertainment for us to enjoy. Acrobats, clowns, fire eathers, fortune tellers, jugglers and mimes strolled around the grounds all day. A steel drum band provided delightful Carribean music that blended perfectly with the activities. Everyone brought blankets, chairs, tables and umbrellas for the day. There was a buffet table set up with sub sandwiches, macaroni, potato, pasta and fruit salads, tortilla chips with salsa and guacamole. There was punch and lemonade for everyone and wine and beer for the adults. There was also an ice chest full of Popsicles and individual servings of ice cream. Guests had brought Frisbees, kites and footballs, but all day there were teams competing in volleyball tournaments. The first game was girls vs. guys. At first the guys were winning, but the girls came from behind and won. Next was a game between, accounting and advertising. Advertising really put on a good show. My favorite was the assistants vs the executives--that was really something. The assistants barely won. All the teams were pretty evenly matched and more importantly everyone had a great time. Many of the guests captured the games on video and film. A photographer wandered among the guests taking candid pictures. He managed to capture me shoving a giant piece of cotton candy in my mouth. Now, the picture is on our bulletin board in the lobby for everyone to see. Though there was no ocean at our version of Venice Beach, there was certainly the feel of the sea shore in the air. Everyone found something to do. It was a wonderful day and before I knew it the sun was getting low in the sky and the guests began packing up to go home. It was a perfect ending to a perfect day.